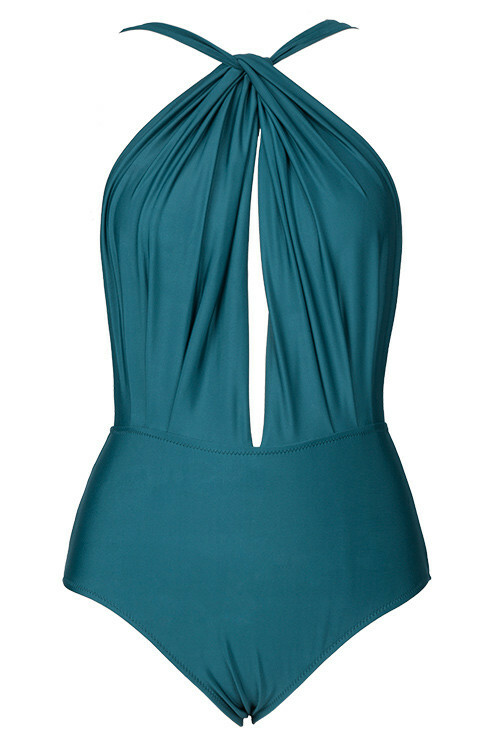 Choose what (swim)suits you best this summer! Hello and welcome to another Monday post. And even though another hard week of work is in front of us, I hope that all of you have taken advantage of these lovely summer days just like I have. My end of the week days were filled with fun and friends, which made me pumped enough for the next week and inspired enough to write another post. The weekend for us consisted of going to a friend’s country home, making a barbecue and, on the spur of the moment, going swimming to a nearby pool resort. And since it was a last minute thing, of course that I was unprepared. And so I had to go swimsuit shopping, which was not an entirely pleasant experience since I wasn’t exactly beach body ready. So, unfortunately I had to settle for the most appropriate swimsuit that I could find in just a few minutes. But that didn’t stop us from having a blast in the pool and getting a real nice tan while we were at it. And this brings me to today’s article subject, where we are going to shop around for a few gorgeous swimsuits, fit for all tastes, sizes and levels of cover up. I, for one am rather shy and don’t like showing off that much, so if you are anything like me, I am sure you will be able to relate and find something fit for you. First we have a lovely one-piece swimsuit. What caught my eye in this piece was first of all the lovely color and the small yet striking details. The lace neckline and rope-like closing system add a feel of vintage to this piece and will make all the eyes focus on them instead of whatever you might feel insecure about. This next piece I simply adore. From the high wast bottoms which can cover any tummy just waiting to be acknowledged to the gorgeous top that can offer both the necessary support and the help for a striking and gorgeous cleavage. The intricate black and white patters is also something to check out, playing also a significant part in covering up any flaws and attracting attention to where it matters. If cover up is not such a big issue for you, then a simple swimsuit such as this next one can be just the right thing. Not the most simple model of the bunch but the criss-cross pattern along with the gorgeous olive color can help you hide those small imperfections you may be feeling insecure about, while still letting you show off the best of your beach body. And talking about showing off you beach body…for those of you who can manage to obtain and keep such a body I have to commend you. And I believe that this next piece can help you in showing that off. What can be more simple that a two-piece black or white swimsuit that lets your body do the talking? All you need more is the sunscreen to protect all that showing skin. This next one is a one-piece and it is a rather simple swimsuit that combines the best of both worlds. With a plunging cleavage that shows just enough and a bare back that allows you to get a perfect no-line tan, this swimsuit is a perfect fit for all types of bodies and ladies. The lovely sea color is just an added bonus which I find very charming. I think that this next swimsuit is what really made me want to work for a true swimsuit body, in order to be able to wear it. The crochet design is simply gorgeous and a really eye catcher on the beach, so you better be prepared to be admired by both men and women. The line pattern and sand and sea colors just add to its gorgeous design, not to mention the subtle rope strings that hold it all together and the edging details that are a delight for the eye. If there are any vintage lovers around here, then this one is going to be a real hit. I, for one, adore vintage pieces and I would honestly wear them with total disregard for other opinions, And this next two piece suit is the perfect example of how vintage can be timeless. In a more modern version of a classic swimsuit, this piece is also a good choice to cover up what may be necessary and making itself be the star of the show, while you can have all the fun. 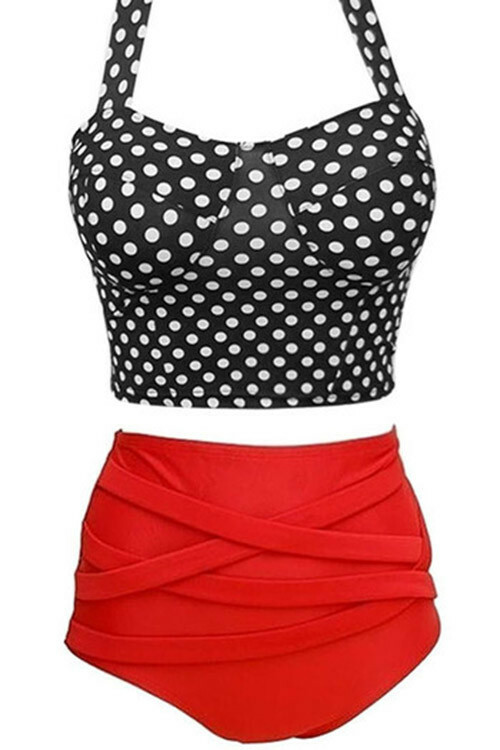 Last but never least, we have a combination of modern and classic in a two piece swimsuit. Following today’s modern trends of swimsuits made out of two totally different pieces, this set is a gorgeous example of how you can keep up with the times while and still have your favorite element from the past with you. A simple pale blue bottom with a white lace covered top makes for a charming, almost innocent like combination with which you can let others see what you’ve been working on throughout the winter. Today’s featured image comes from Camila Cordeiro at Unsplash.